The MBA programme is currently considered the qualification standard for managers of Czech and international companies and institutions. It is aimed at managers with professional experience to qualify further in the Human Resources Management and the European Union. The students will qualify for developing their own top career in managing structures at various levels, particularly in the EU countries. The MBA programme graduates become top experts in the human resources management within the European institutional, economic, and legal frameworks. Through the MBA programme study the managers acquire a comprehensive system of knowledge and skills needed for building a successful career in business and management, including public administration, especially in education and human capital management. The graduates have mastered at the advanced level the European institutional, economic, and legal frameworks with the focus upon human resources management. They are prepared for developing their further careers through applying theoretical knowledge and practical skills directly to complex problems solving in business, entrepreneurship, and institutional management. The graduates have also mastered methods of further education, lifelong learning, and team leadership. Their ability to synthesize theoretical knowledge and its practical application in the managerial environment is established by the defence of the final thesis. 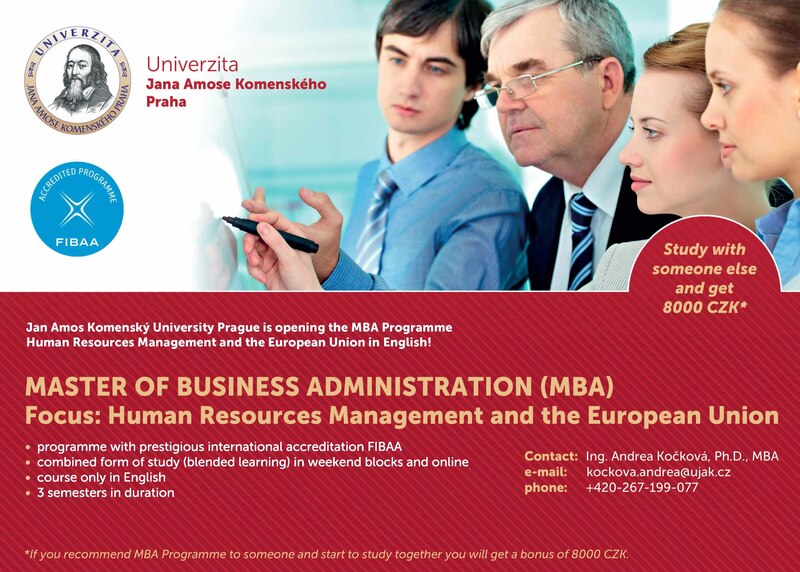 The main profile subjects of the MBA programme in the Human Resources Management and the European Union are as follows: Human Resources Management, European Integration, Legal Systems, Political and Economic Geography of EU, Economic Analysis, Organizational Behaviour and Leadership, Strategic and Operational Management, Problem Solving and Crisis Management, ICT and Information Systems. Mode of study is organized in weekend study blocks (about 5 weekends per semester). Standard length of study is 1,5 academic year (3 semesters) divided into 5 study areas. Study is concluded by the defence of a thesis. Graduates are awarded the professional title Master of Business Administration (MBA). The MBA programme has been successfully re-accredited in February 2015. Some people say that an MBA or Master of Business Administration opens doors in your career. I find this to be true. A year ago, when I decided to pursue my MBA, I was a director of software engineering at a U.S. software company. My job was to supervise approximately 50 software engineers developing software for mainframe computers which are used by more than 90% of Fortune 500 companies, large banks, governments, militaries, and other institutions. It is a demanding job, and when I started looking for an MBA program, it was important that the program be suitable for someone with a busy work schedule like myself. That’s when I discovered the MBA program at UJAK. I had already heard good things about the university, especially in the context of lifelong learning. They had already had in place an MBA program in Czech which had received strong reviews. However, what set the university’s English MBA program apart from the others was that all subjects are taught in English and the schedule – although demanding – was targeted at the employed. The courses are taught at weekends (Friday evening, Saturday, and Sunday), and do not interfere with my employment. So, I enrolled in the program, determined to open the next door in my career. I have just completed the second semester of the program, and I am very satisfied with the level of the instructors and courses. In the first semester, I learned a great deal, both theoretical and practical. focusing primarily on subjects such as Economics and the European Union, two things that influence my life on a daily basis. As a hiring manager, I found the courses on corporate and labor law especially useful. However, every course in the program brings tremendous value, whether it be Fiscal Policy or Thatcherism. An interesting fact is that most of the instructors teach at other universities (including Prague’s Charles University) and several of them are recognized as specialists in their fields and authors of many publications and articles. The second semester focused on the elements of corporations, practical knowledge, and soft skills. As a development manager, I am not as familiar with the inner workings of the Marketing and Sales department or the best practices of production and logistics as I should be. Now I am. The courses are taught by actual specialists from each field with plenty of real-life examples. Courses such as Strategic Management, Accounting for Managers, Crisis Management, Risk Management, and Financial Controlling offer many valuable exercises that are designed to improve management skills. So far, both the university and program have been outstanding. 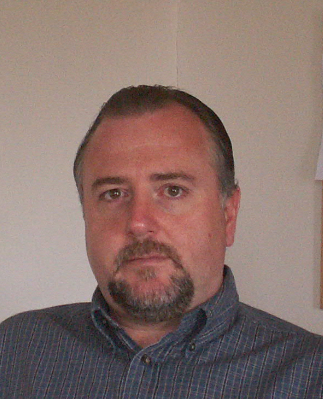 The program is augmented by an excellent support system, both administrative and advisory. From day one, I found UJAK to be a very pleasant environment. I was so impressed by the university and program that I was able to recruit several of my colleagues who are just as satisfied as I am. Our company is currently negotiating a partnership with the university that will allow others to enroll in the MBA and other programs that are suited to their professions. This is a win-win situation for both sides, but especially for the students interested in the program. I highly recommend the MBA program to other professionals. However, if you do decide to enroll, expect to be challenged, and be prepared to work hard. As with all successful accredited programs, you have to earn the degree. And for those who find challenges attractive and desire to know more, the program is designed for you. By the way, I just found out that I was promoted to Senior Director, effective July 1. The example I set for my employees that education is a life-long journey played a huge factor in my promotion. And UJAK made it all possible.